It feels almost surreal writing this. I know a few bloggers are preparing for their 2015 weddings and a close friend is also preparing to get 'hitched' this summer, so I thought only fair to share a few of my own experiences. You know, it’s only the biggest day of your life to prepare for. This time last year we were on the final countdown towards our May wedding, which had been booked two years in advance soon after our engagement in Paris. Now let me tell you, at the time it seemed like forever away. It was painful knowing we had YEARS to wait. But, in essence, two years is not long enough! I’m going to be straight; no amount of time (months/years) can allow you to be prepared. We ran out of time. In this eventuality you just have to go with it. Yes – you might have dreamt up this incredible table decoration, convinced yourself you could bake your own wedding cake, but it didn’t quite happen. So be it, live it, and find solace in knowing you did what you could. However confident you may seem, they will get you. You might have played out the wedding scene in your mind one hundred times, but one day (for me it was a fortnight before our wedding, whilst driving to my parents house, I suddenly began sobbing at the wheel) it’s going to hit you like a ton of bricks just how big this is. How many people are attending your wedding, waiting, anticipating seeing you enter the church, what it’s going to be like literally being the centre of attention and how it’s going to feel walking down the aisle and becoming ‘Mrs…’ for real. Get the tissues at the ready. Be grateful to your Husband-to-Be. He’s the one single person who is going through the exact same scenario and feeling as you are. Love him today, love him tomorrow and remember he’s the one who took a chance on you and wanted you the most. This is the BIG ONE. Because you’ve got the dress, and you know exactly how you want/need it to feel and look on the big day. Nothing will convince you enough that you look okay right now. The scales will petrify you and eating will be difficult – especially if you have occasions such as Easter, birthdays etc. looming. Don’t lose faith – the final push is always the hardest (especially when you want to stuff your face full of chocolate), but maintain that healthy lifestyle, and allow yourself to exercise. Think of the reward at the end. I don’t quite know how to put it, but the ‘wedding diet’ is one of those infamous ones, and sadly we as women feel obliged to follow one. 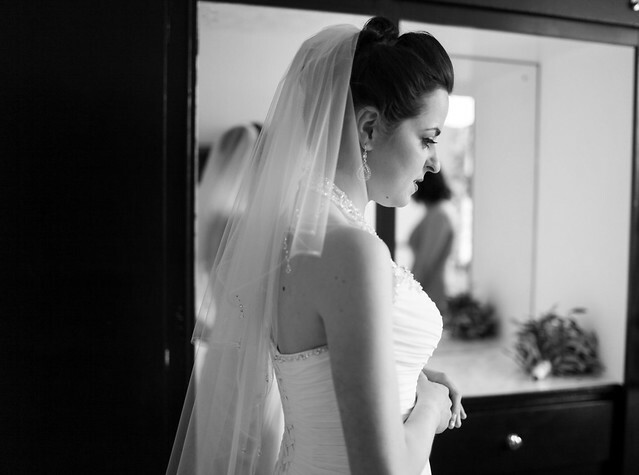 Because, we all want to look our best on our wedding day – it’s just a fact of life and it's okay to feel like this. My journey was life-changing and wasn’t solely wedding related, I was overweight and desperately unhappy, but my initial goal was to be happy with the way I looked on my wedding day. And that, I achieved. I am not going to lie – an impending wedding can be soul destroying on your appetite. Food is hard to appreciate, because all you want to do is look your best and you will not let anything jeopardise that. Try not to be too hard on yourself, you need to be healthy and sensible, but remember without a question of doubt the willpower now will pay off. And your Honeymoon is for EATING everything (even the chocolate, in my case mine and my husbands chocolate mousse pudding on the plane). Cherish every single moment of your last months of being ‘single’ – yes you’ve been in a relationship for a long time now, but on the actual census records you are SINGLE. So these last few months of signing as Miss and in your maiden name (that belongs to your parents) are actually precious. Finally, anticipate what is coming, because it is life-changing. It is so huge that you will not realise until you are right in the midst of it. This is ultimately the day you have dreamt of your entire life and weddings (however small or big) all amount to one thing: LOVE. Enjoy every single moment between now, the wedding and ever after. I hope, if anything this helped and reassured you – that it’s going to be okay. Lovely post - I'll be coming back here when I start wedding planning. This is such great advice for brides-to-be. I totally agree Sophie, I felt a little bit swept away in it all by the end. You look beautiful in your dress. Ahh I have about 7 months till our wedding, and I only chose the venue today, so I hope there is enough time! I think it’s really important to be grateful to your other half, it’s their day too. I’m trying to involve him in everything and although mostly he just nods along, he’ll get involved in things that mean a lot to him. I want to look good in my wedding dress when I’ve chosen it, but I have no willpower whatsoever. I think doing little extra things help. I’ve swapped to healthy snacks at work, and although I drive home I then go for a walk as soon as I get in. I think if I went full out exercising I’d give up pretty quickly. A friend said to me when I got engaged that as well as cherishing being ‘single’, I should also cherish being engaged without all the wedding planning. Just enjoy being together. Thank you so much for the feedback Debbie. Girl, I'm hearing you. I remember hitting the 12 months/9 months/6 months/1 month countdown and each time thinking that things were getting closer and closer until boom, we were here! I do believe that cherishing the engagement is precious also, I feel my engagement (2years) was relatively long, but definitely a good period to have. We considered marrying sooner, but the practicality and finances weren’t really a feasible option. Of course - when it's meant to be it's meant to be. I do wish you all the best for your planning and final 7 months! If you need any advice at all, I am happy to offer what I can. It sounds like you do have willpower - even if you don't think so, walking is great for your health and mind! I found my running was the only way to escape the madness of wedding planning mentally. Maybe a short form of exercise might aid you? Maybe one fitness class a week or a run or long walk each weekend in the lead up? Vicki - We are the class of 2014! I remember finding out you were marrying early May and getting so excited for you! You did have such a beautiful wedding and I loved seeing the photographs and reading about it. You made a beautiful Bride. Weddings are always one of a kind. We have a video of our first dance, which always makes me very emotional! What a lovely post! I really love your perspective. Ha, we only had 9 months from engagement to wedding so, yes, definitely wasn't enough! Relatable & spot on tips, Mrs Taylor(you make a beautiful bride:-)!